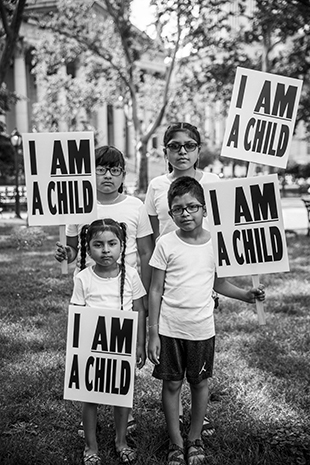 The National Civil Rights Museum opens the I AM A CHILD exhibit to shine a light on the inhumane practice of separating immigrant children from their parents at the U.S.-Mexican border. 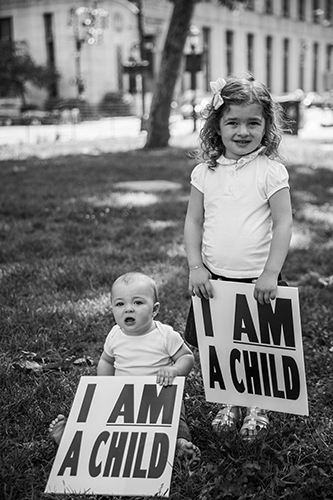 The brainchild of artistic director Paola Mendoza and photographer Kisha Bari, the display of over 30 black-and-white images of protesting children ages 3-10 peering into a camera lens evokes a visceral reaction to their sheer innocence and is a direct appeal to society’s humanity. 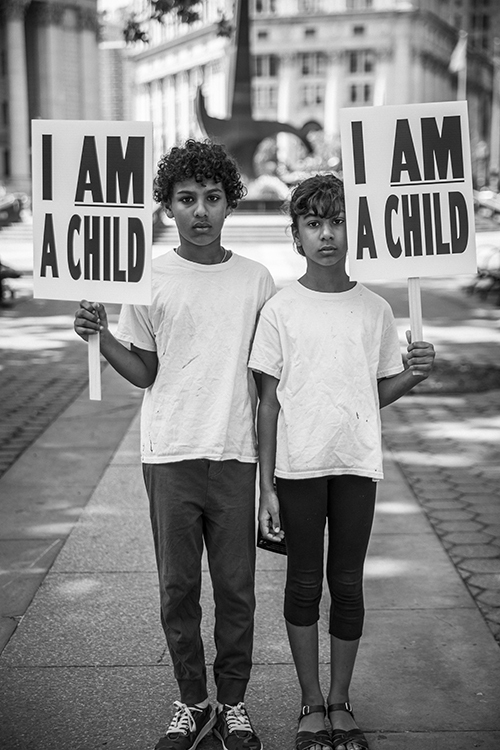 In June 2018, Mendoza and Bari collaborated on an artistic photo shoot on the steps of the Immigration and Customs Enforcement Agency in New York City in response to the zero tolerance policy regarding undocumented immigrants crossing the U.S.-Mexican border. With the new policy came a humanitarian crisis where children were torn from their parents and placed in detention centers thousands of miles apart. The photos quickly went viral on social media. The National Civil Rights Museum reached out to Mendoza through Twitter, and began collaborating on a rapid response installation of an exhibition. “There is no denying that these photos are powerful and evocative. 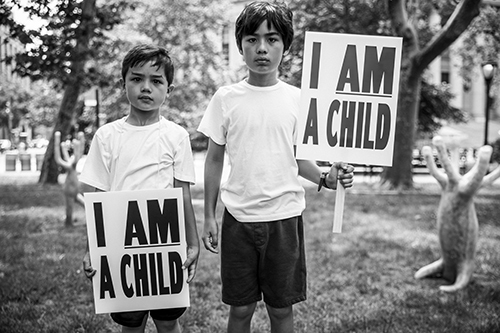 Our collaboration with Paolo Mendoza to produce the I AM A CHILD exhibition speaks to the power of social media in the fight for social change. The crisis at the border is part of a larger disconcerting problem where children’s human rights are being ignored. 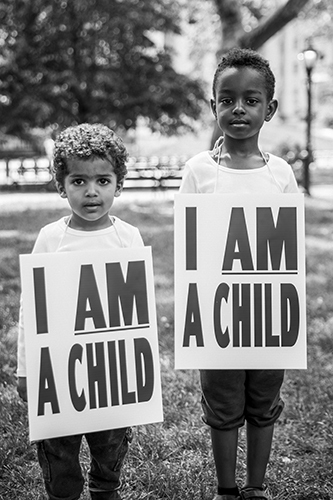 Through I AM A CHILD we hope to increase people’s awareness about the ongoing crisis as well as their understanding of human rights,” said Dr. Noelle Trent, the museum’s Director of Interpretation, Collections and Education. 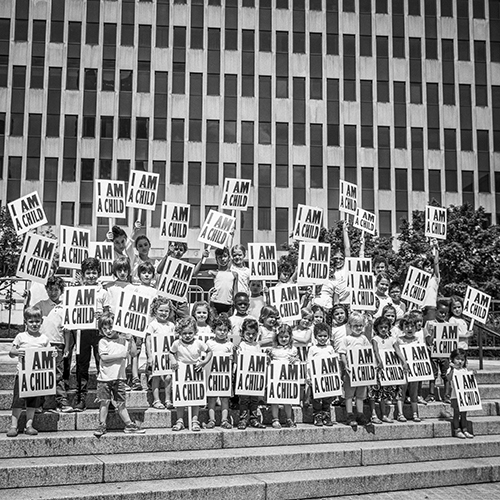 Inspired by Ernest Withers iconic I AM A MAN photos, as well as the 50th anniversary of the Sanitation Workers Strike and the assassination of Dr. Martin Luther King, Jr., children posed with “I AM A CHILD” signs in protest of family separation. 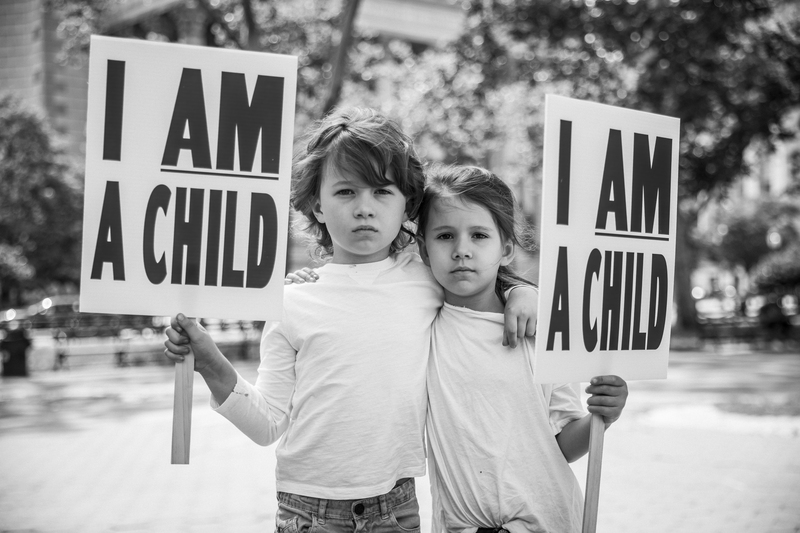 I AM A CHILD is a bold call for the recognition of human rights of all children regardless of race, gender, religion, sexual orientation, or immigration status. The exhibit also features excerpts from the United Nations’ Universal Declaration of Human Rights. The photo exhibition opens as part of a national day of action to bring attention to the continued crisis at the border. The opening also coincides with the second deadline set for the federal government to return over 2,000 immigrant children to their parents. On this day, a coalition of organizations called Families Belong Together will march to the Senate Hart Building to remind representatives that families deserve to be together in freedom. 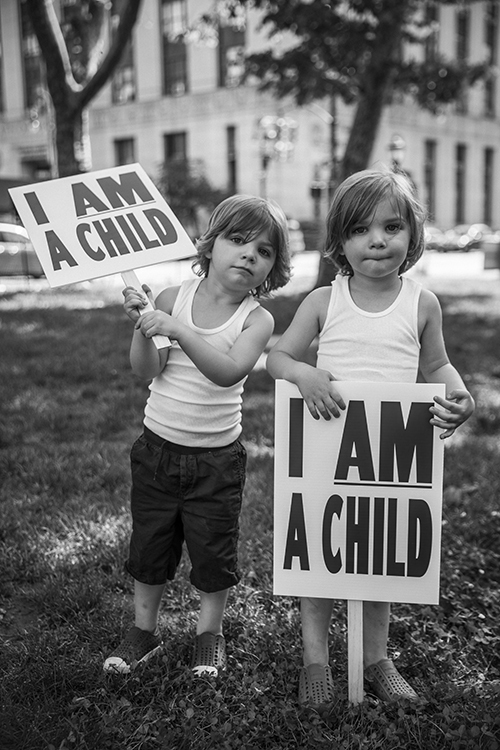 “A child is a child no matter what country they were born in. A child is a child even when they cross the border. 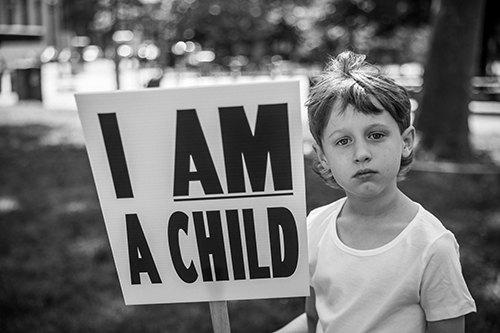 A child’s desire to stay with their parents is a human right. 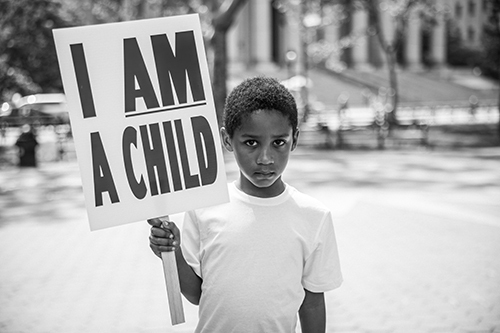 In homage to the iconic I AM A MAN photo, I am proud to present I AM A CHILD,” Mendoza posted on Instagram. She was also the artistic director for the Women’s March in Washington, DC in January 2017. Exhibit photographer Bari posted on Instagram, “These are desperate families that feel so unsafe in their country that they have no choice but to risk their lives and leave their home behind. Being a refugee is not a choice. Children in this situation have less of a choice. Imagine yourself in this position. The exhibition is showing through December 2018 on the second floor of the Legacy Building. Social media shares and posts are encouraged.